Bull Mixa Self-Loading mixers are very easy to operate, even by relatively unskilled operators. 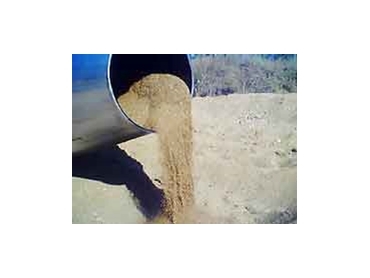 For bulk mixing, push into material, (premix, sand pile, etc) once, add required amount of cement powder, push into material again and weigh off using a weighing device such as a Loadright weighing device or an oil pressure gauge to suit your machine. Bull Mixa Self-Loading mixers are also equipped with variable speed forward and reverse as well as a safety stop. This allows greater control when reversing the mixed load into piers or fence post holes etc. The mixer bowl is equipped with inner spirals for better control when reversing. Now you can concrete quickly and easily anywhere you can get a bobcat or frontend loader in. For farmers and graziers, that means the working efficiency of their properties can be greatly enhanced with improved laneways, watertroughs, shed and machinery floors, causeways and so forth.